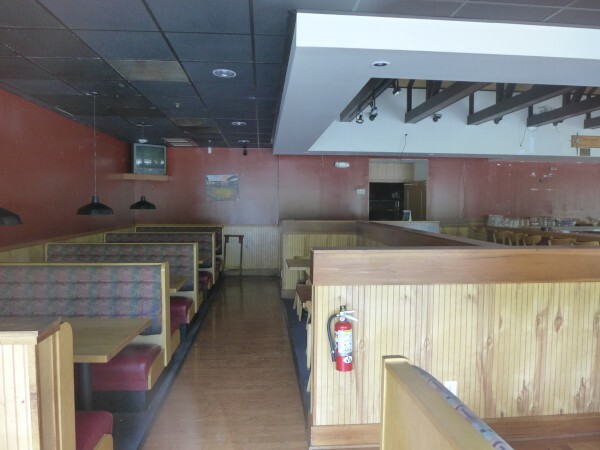 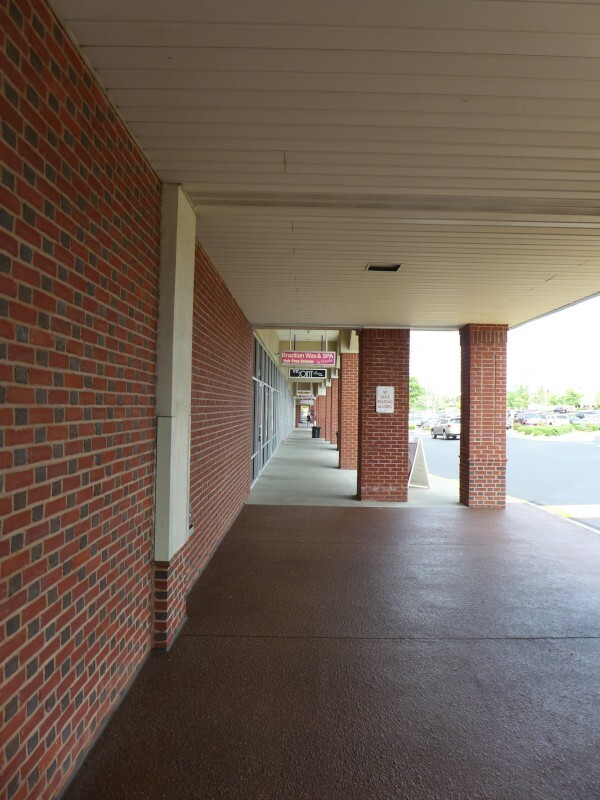 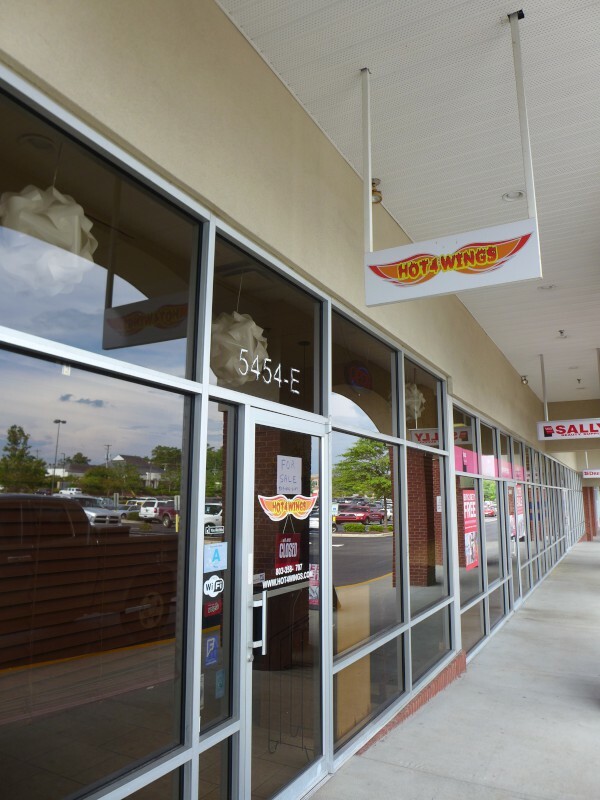 The impending closing of this Lexington Publix plaza wing stop was noted a while ago by commenter Ed, and commenter Brian confirmed the actual closing a bit later. 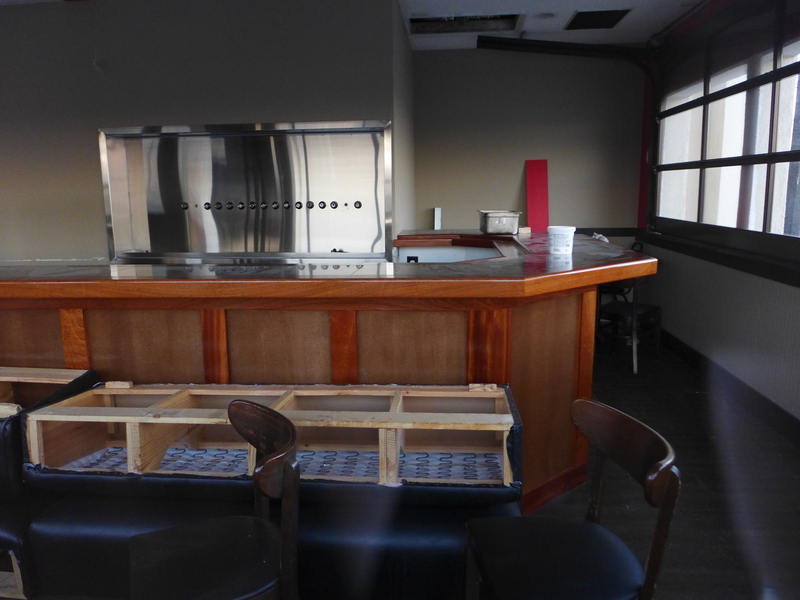 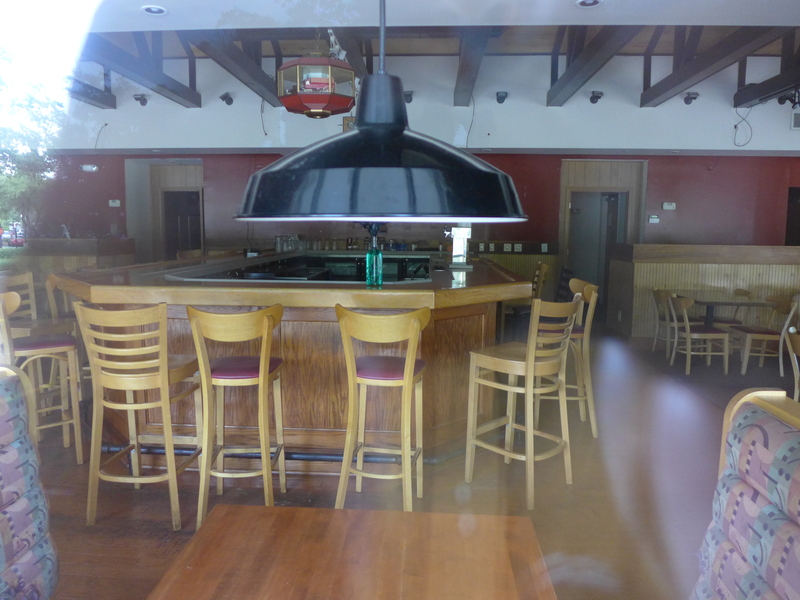 The first shot shows the place still in operation and the later shots are from afterwards. 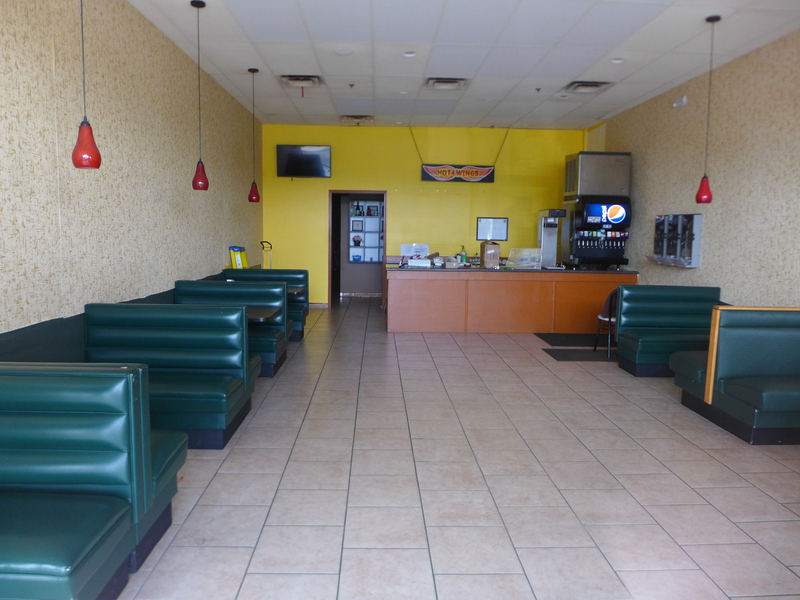 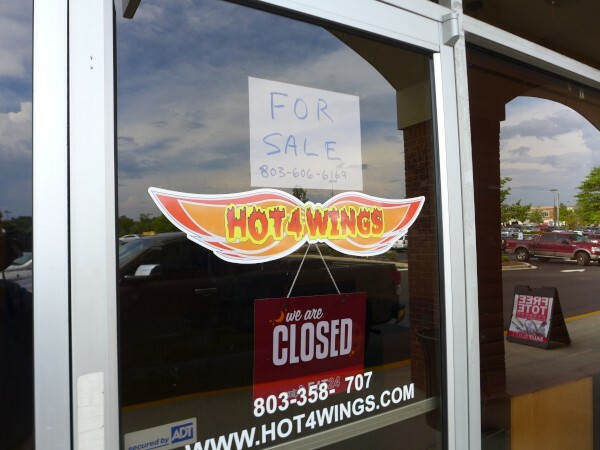 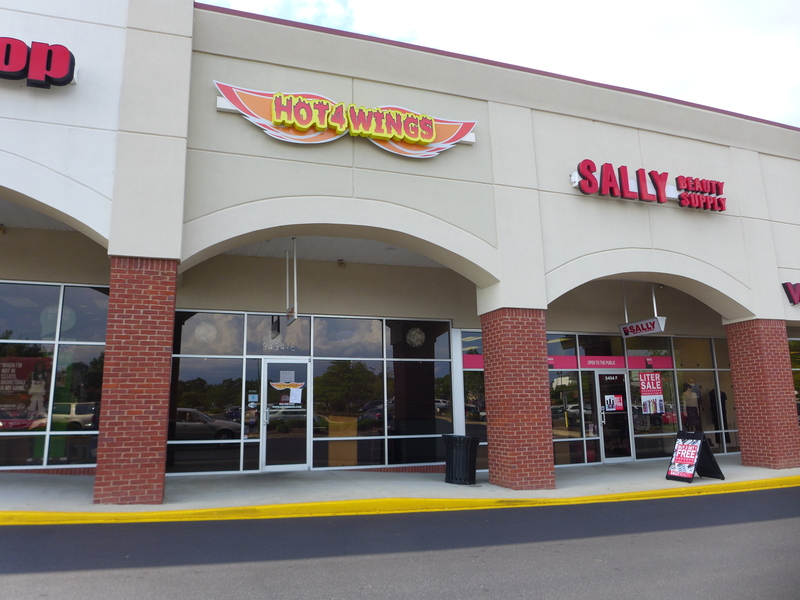 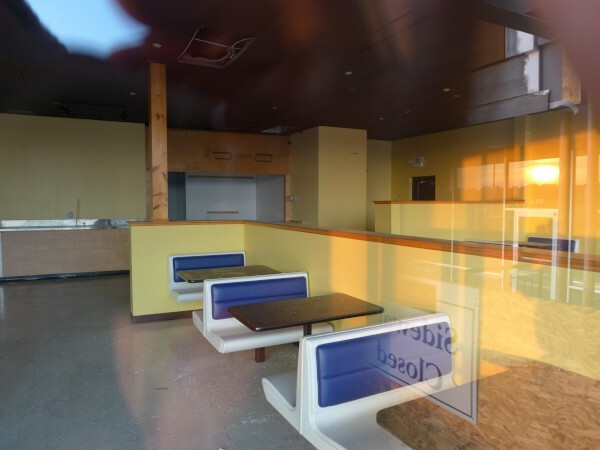 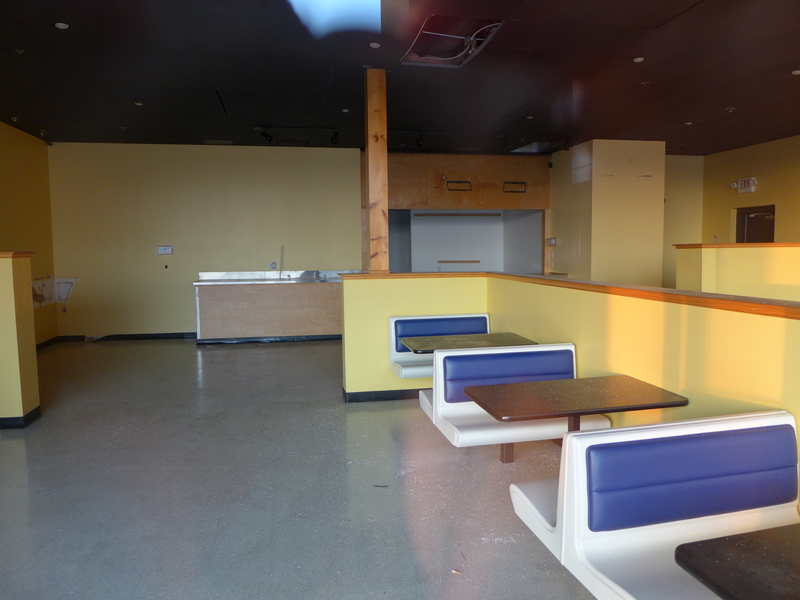 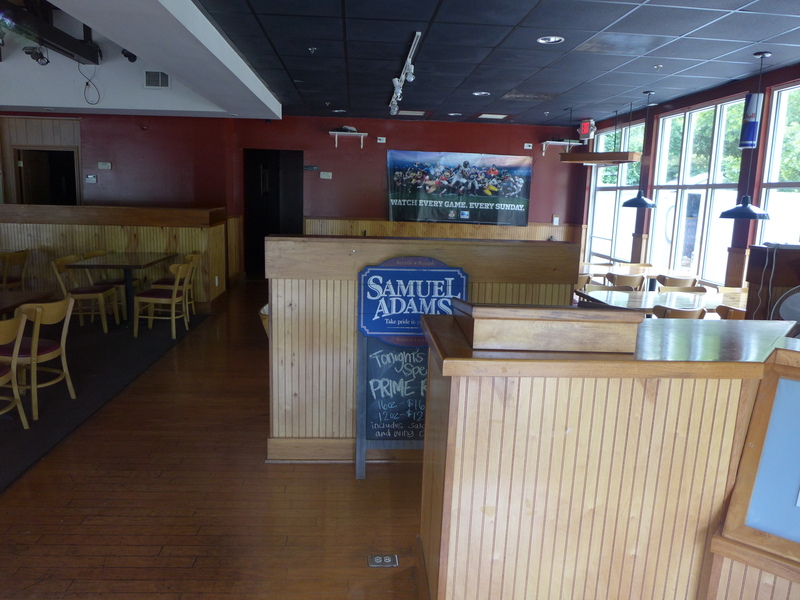 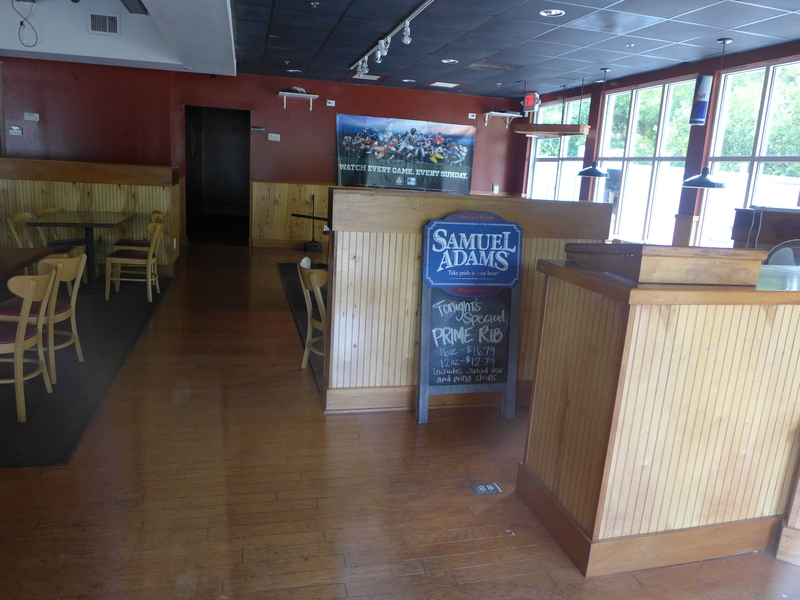 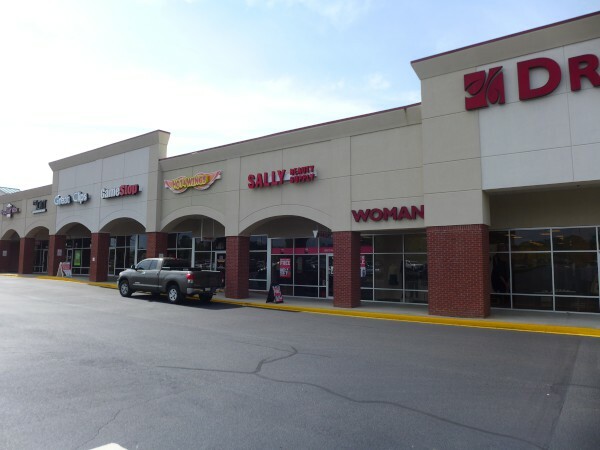 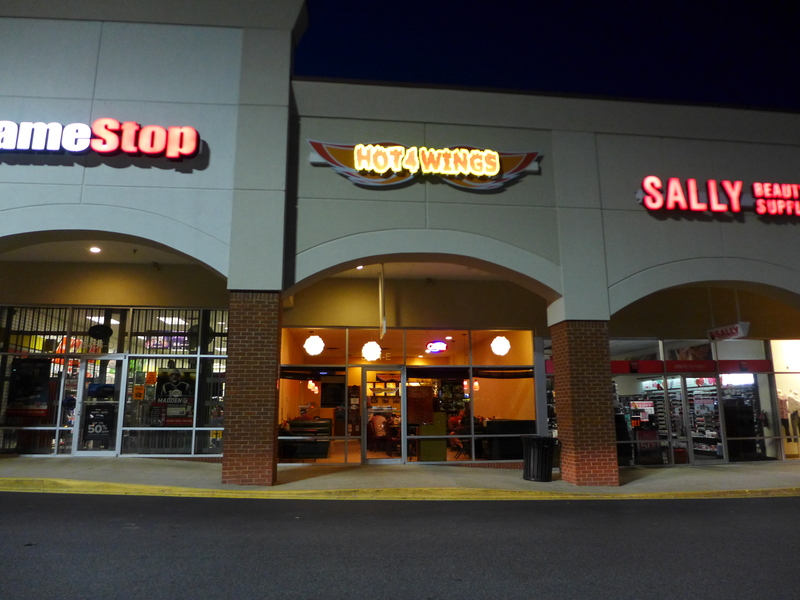 Curiously, Hot 4 Wings was just a few suites down from Wing Nuts, which shuttered in March 2014. 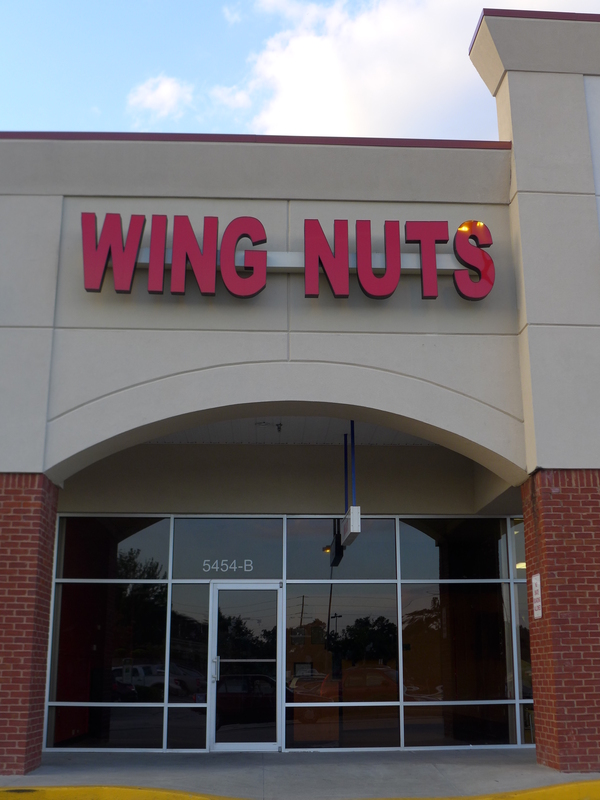 Somehow I have never posted this, though I seem to remember specifically doing it about three separate times.. 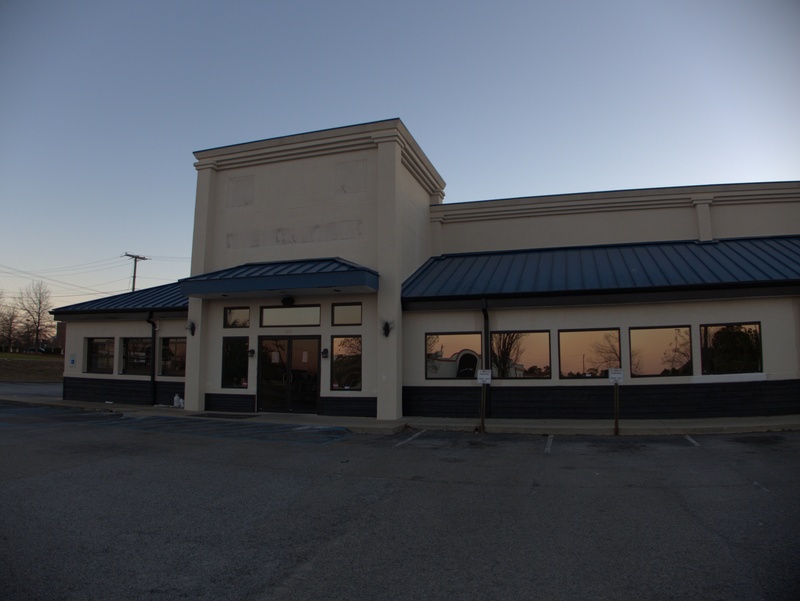 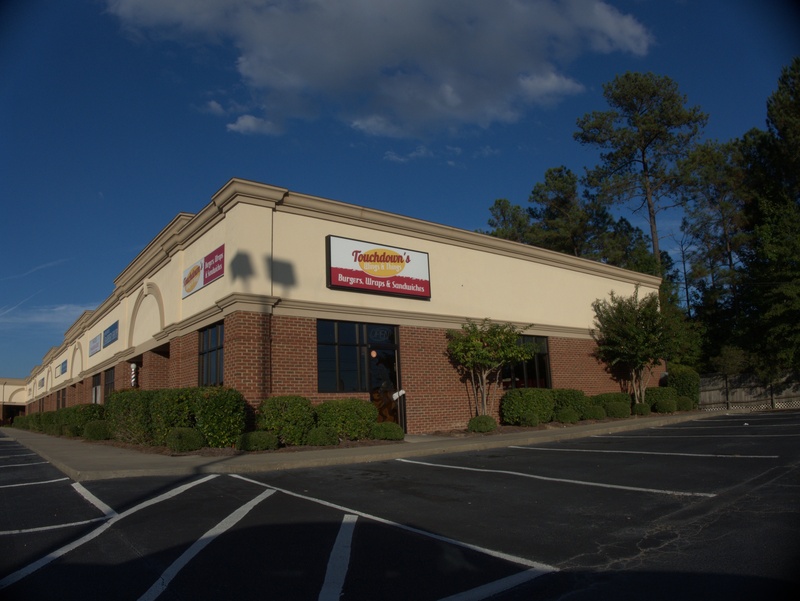 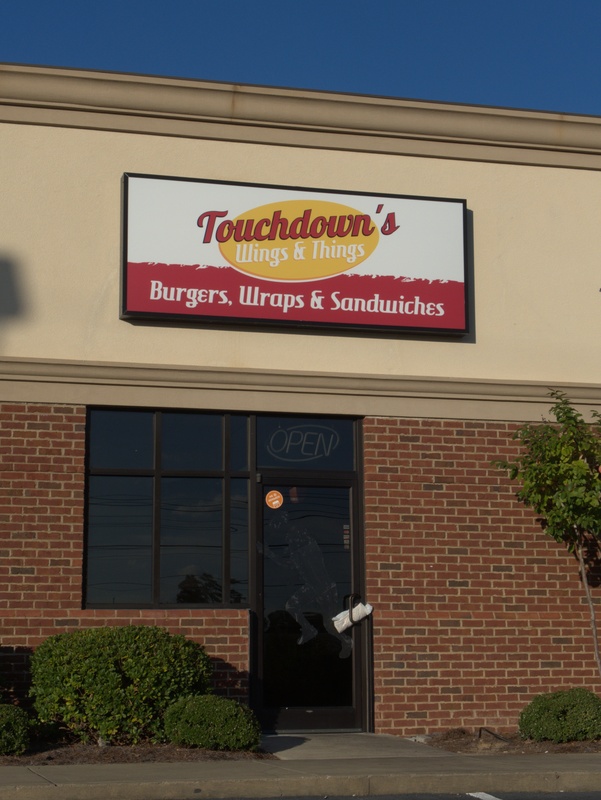 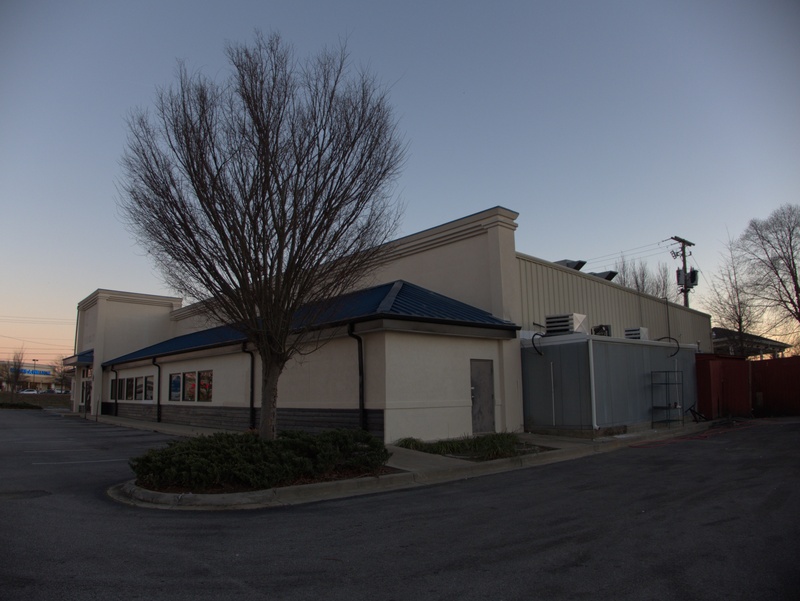 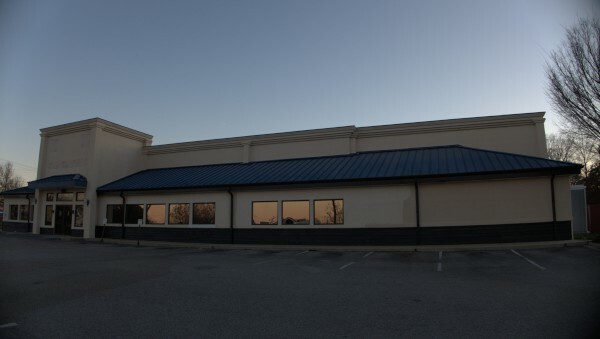 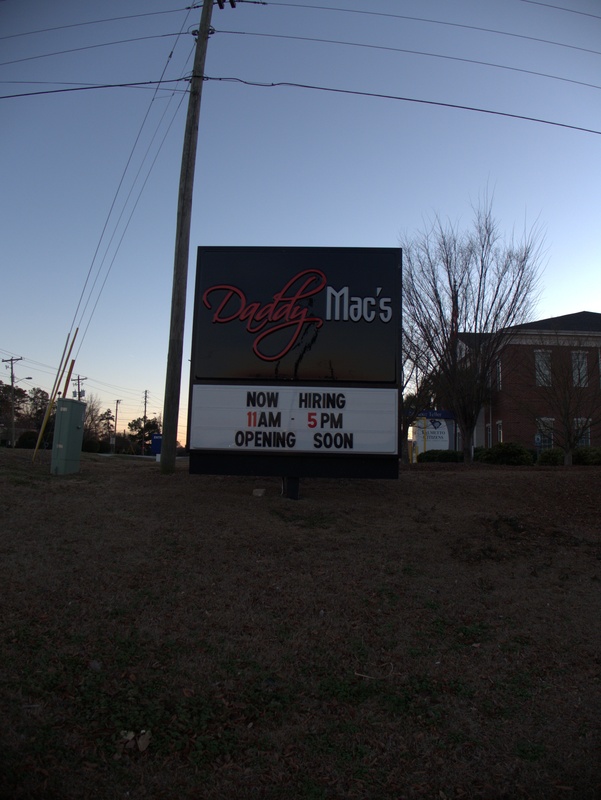 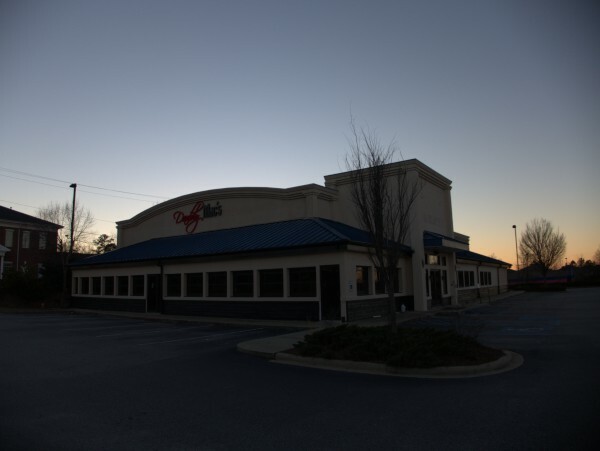 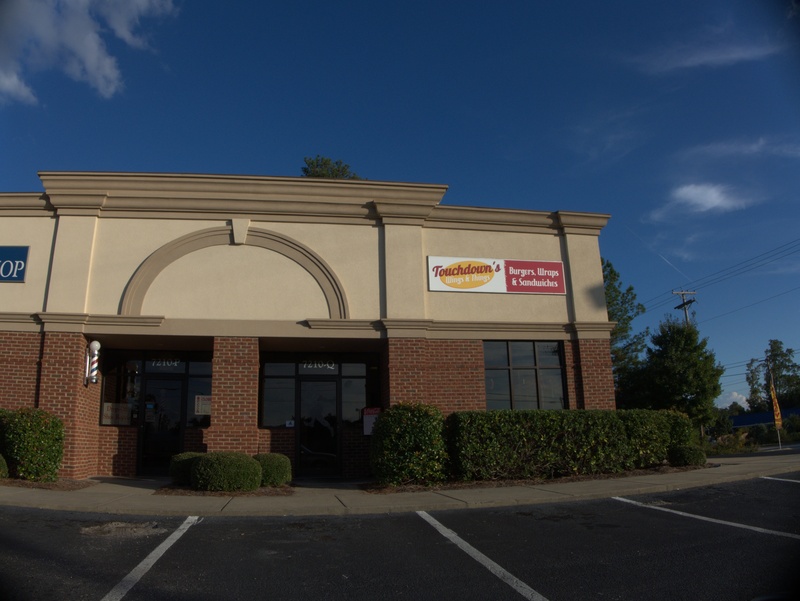 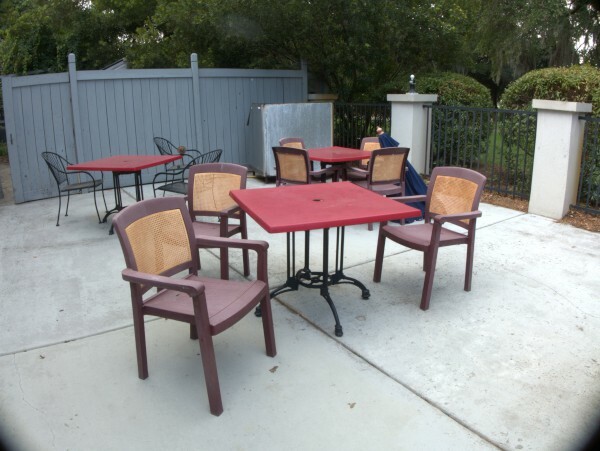 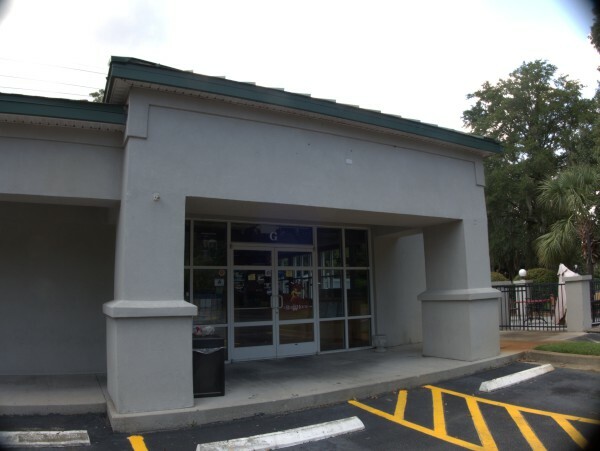 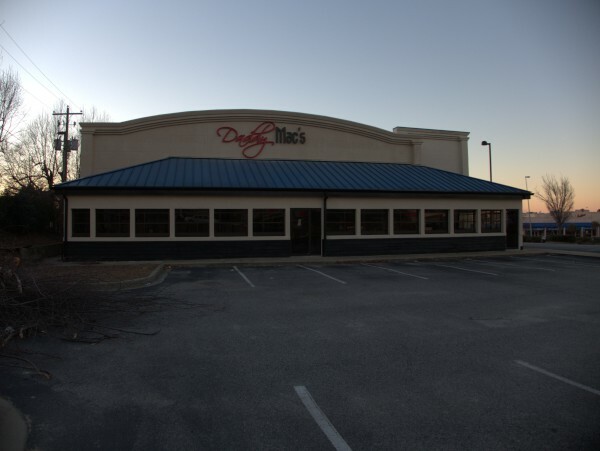 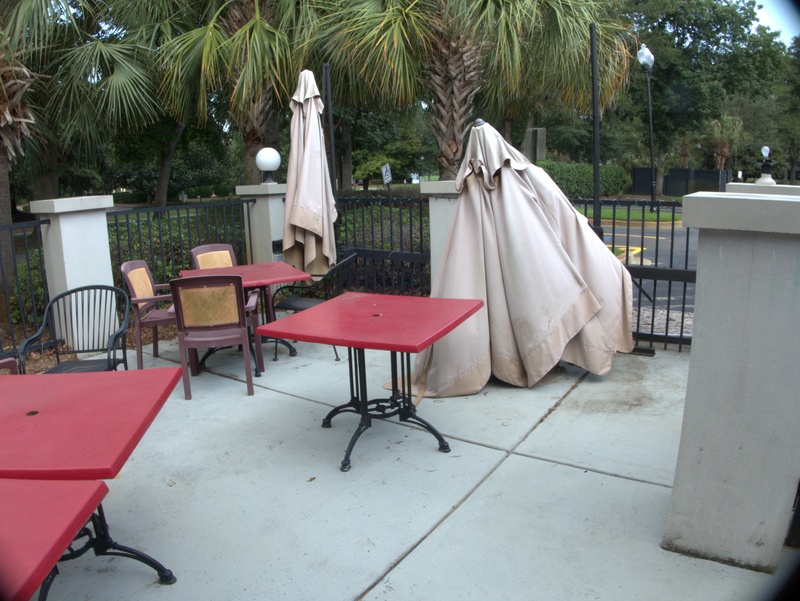 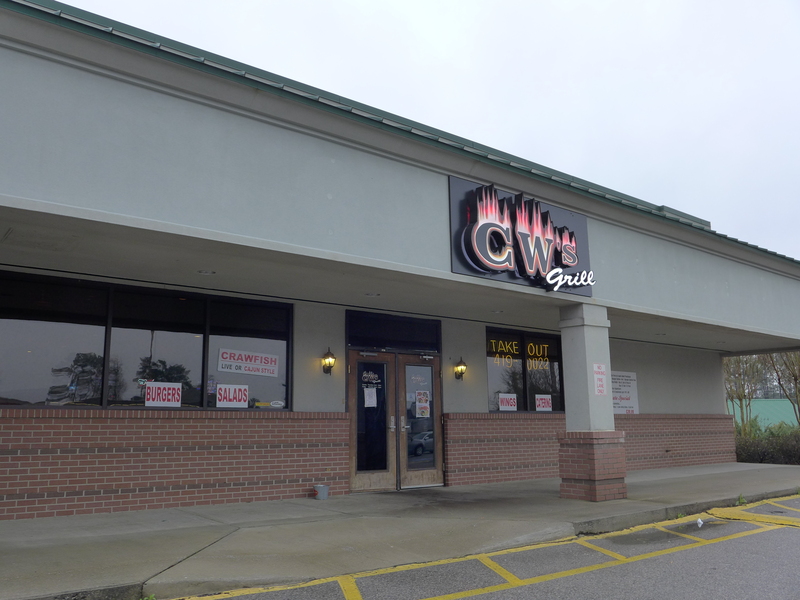 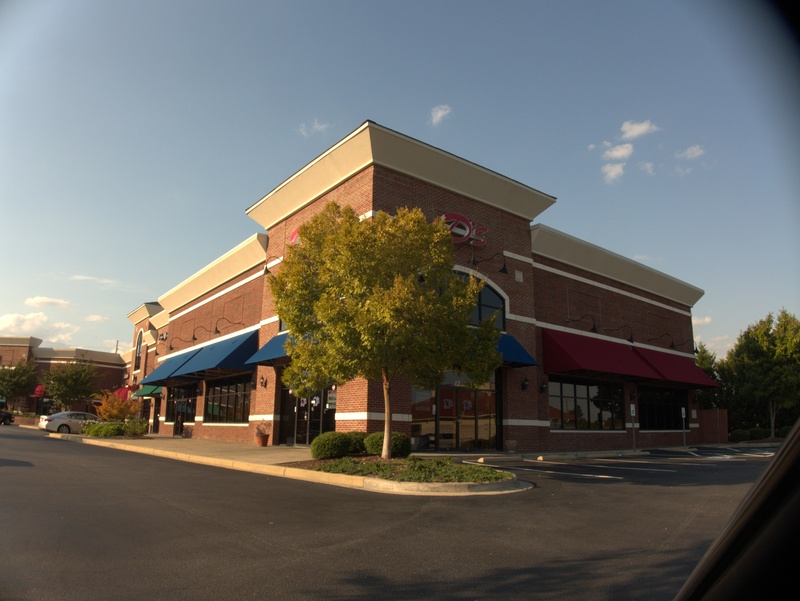 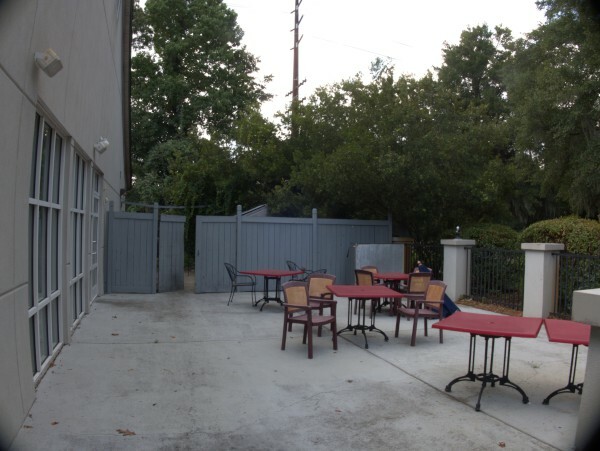 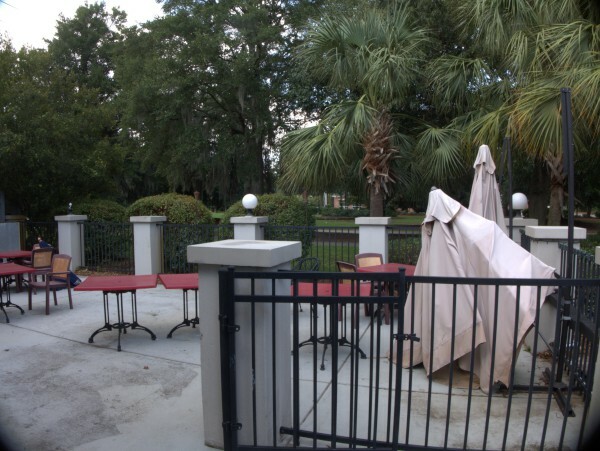 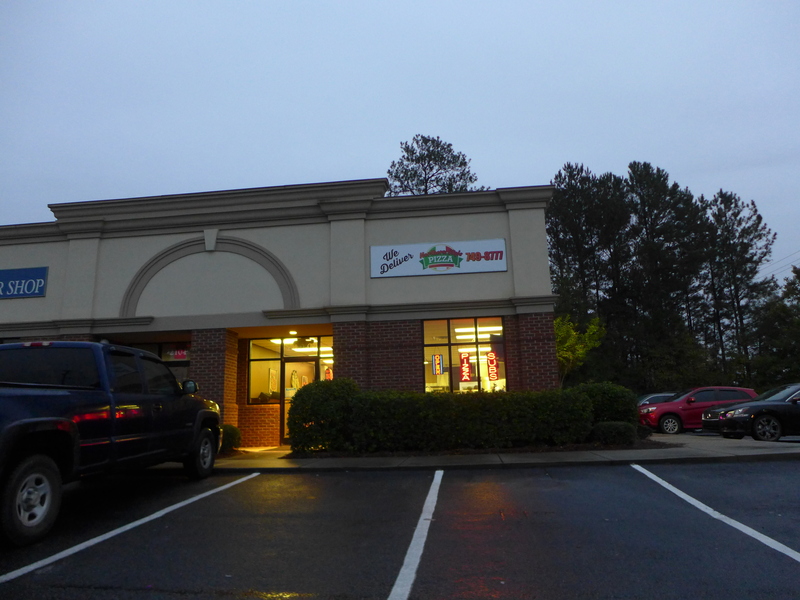 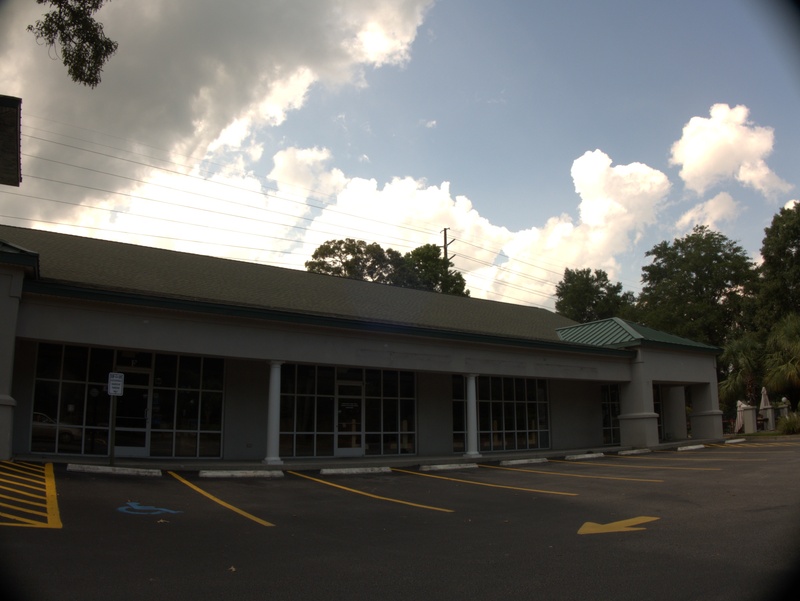 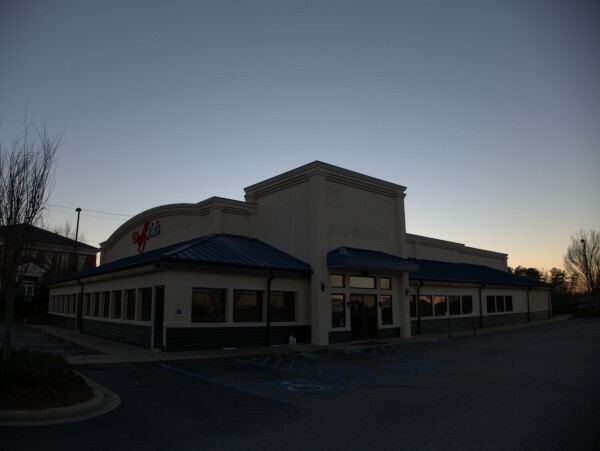 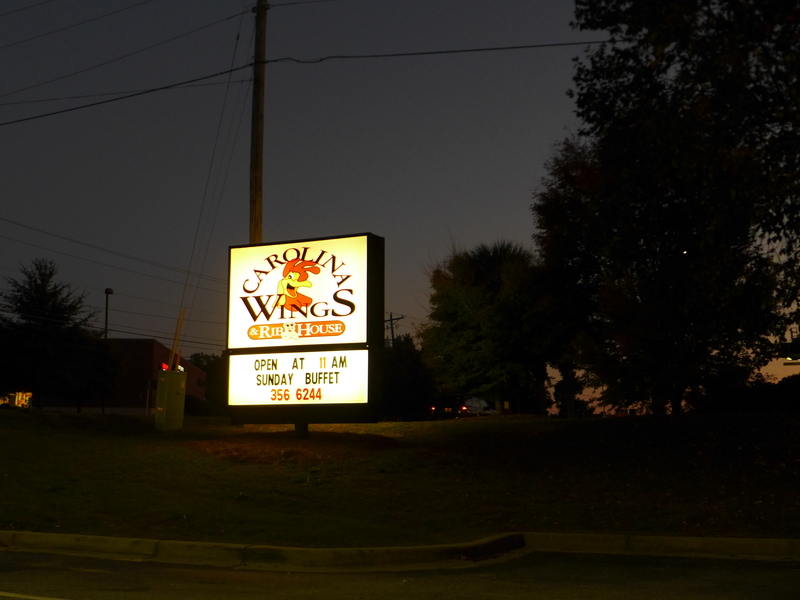 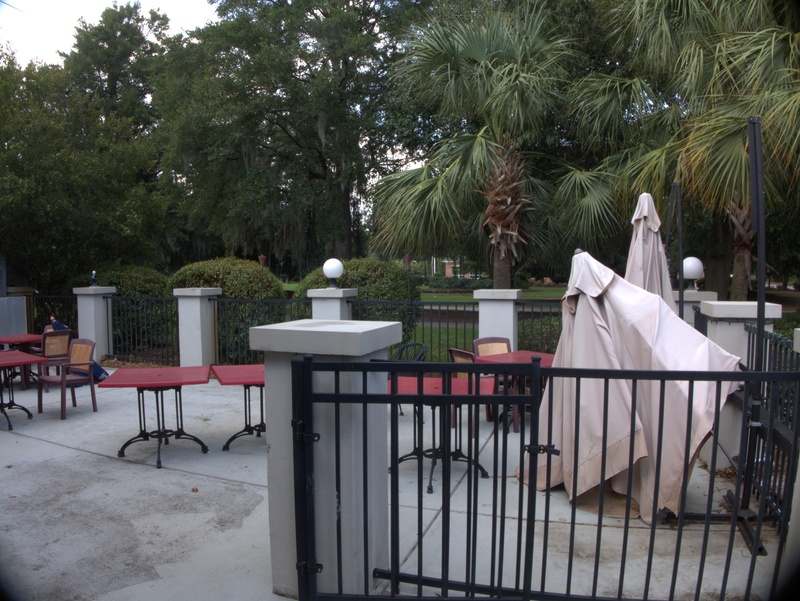 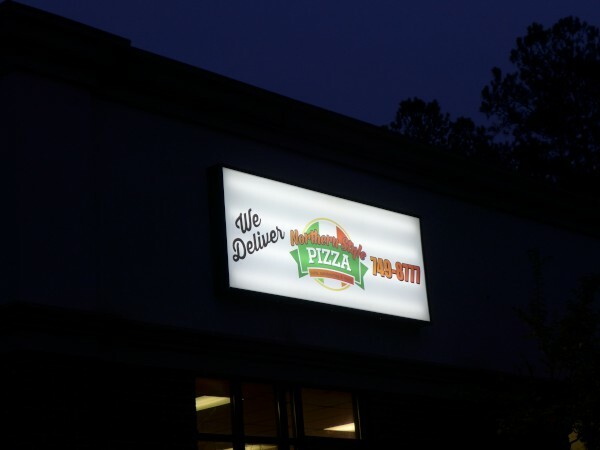 Anyway, CW's Grill was an outpost of the now defunct Carolina Wings empire located with the now also defunct Pig in Magnolia Pointe at the corner of Clemson & Hardscrabble roads. 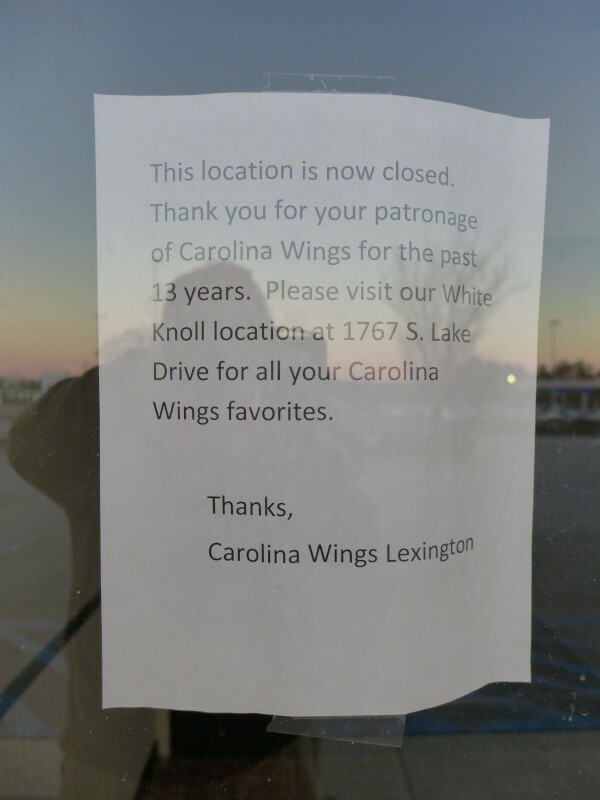 As of now, two years after the fact, their website is still up. 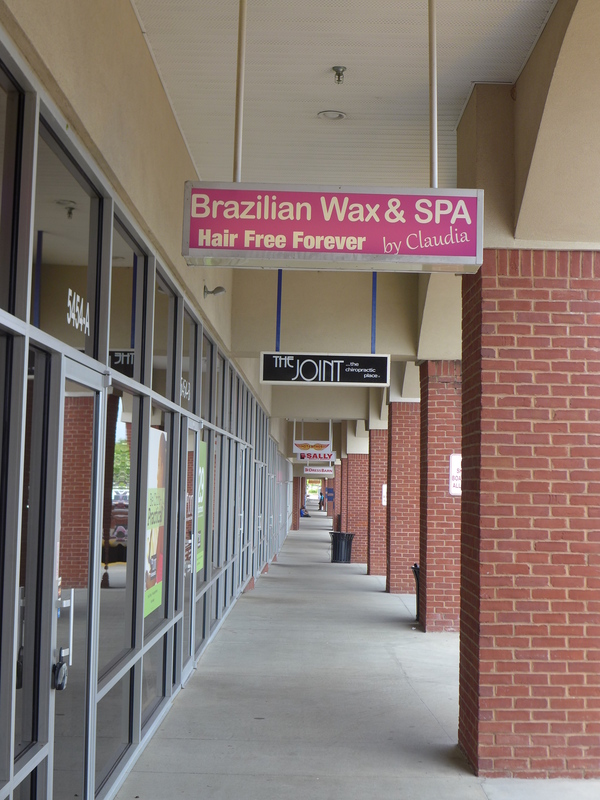 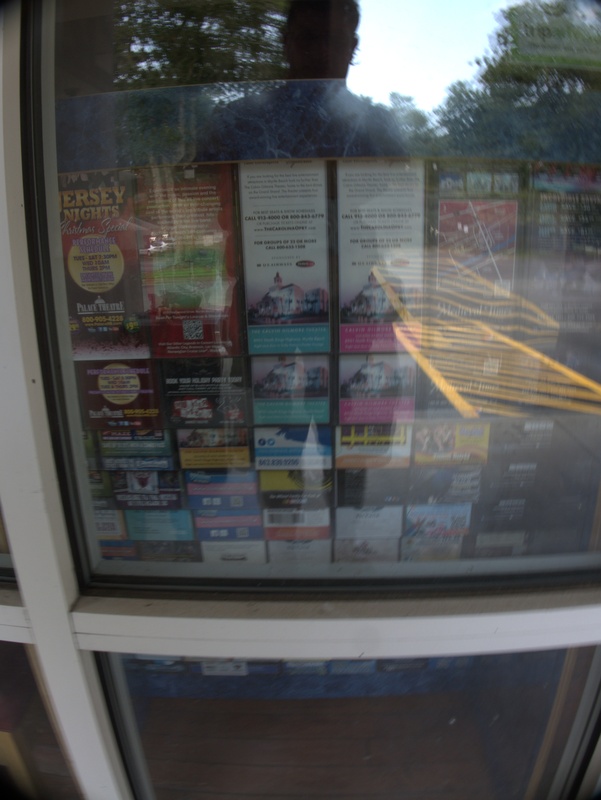 I believe the storefront was still empty last time I went by, but I'll have to check next time I get out there. 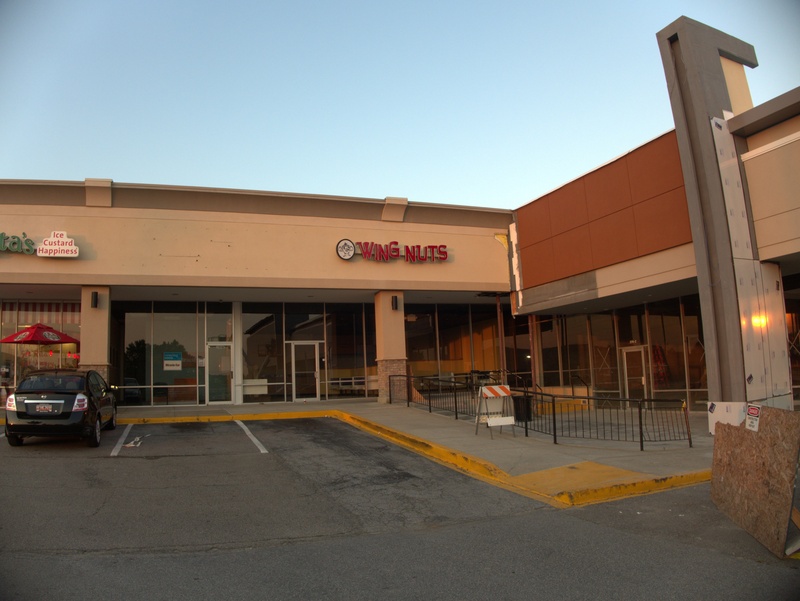 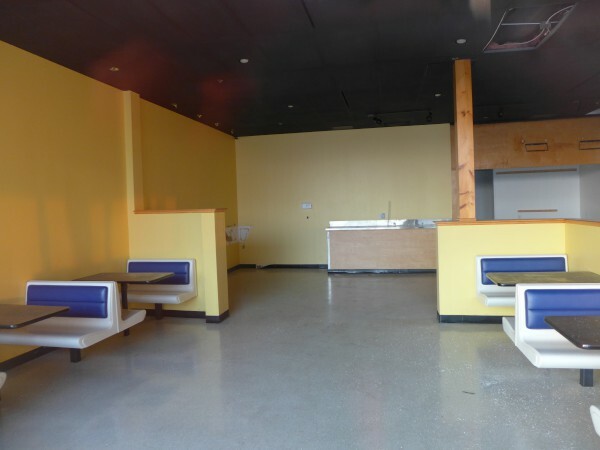 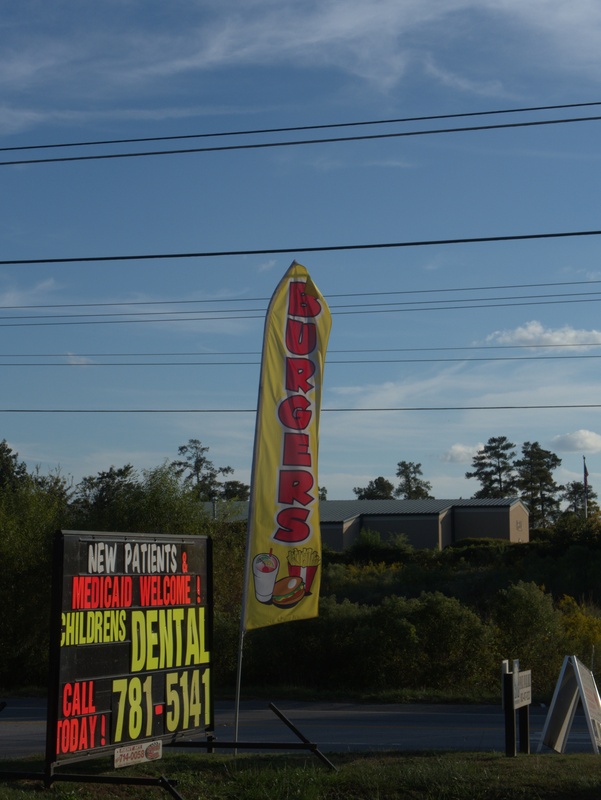 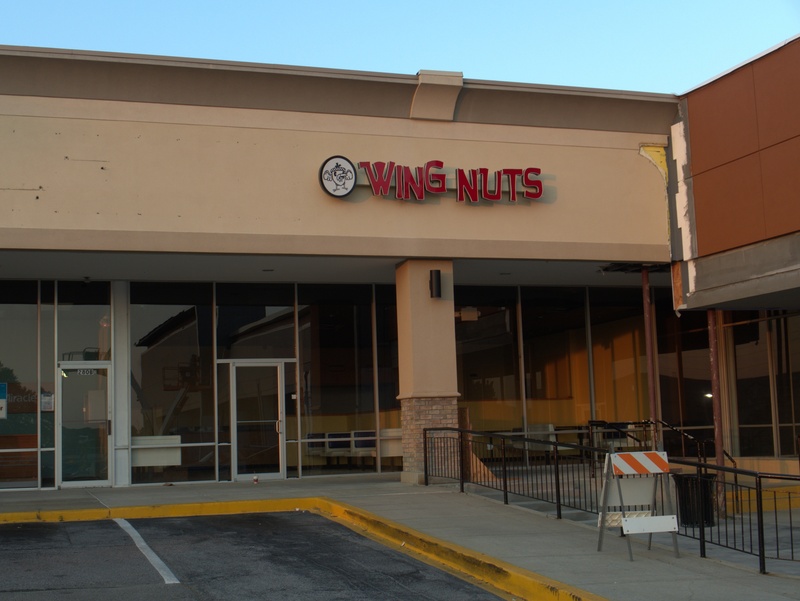 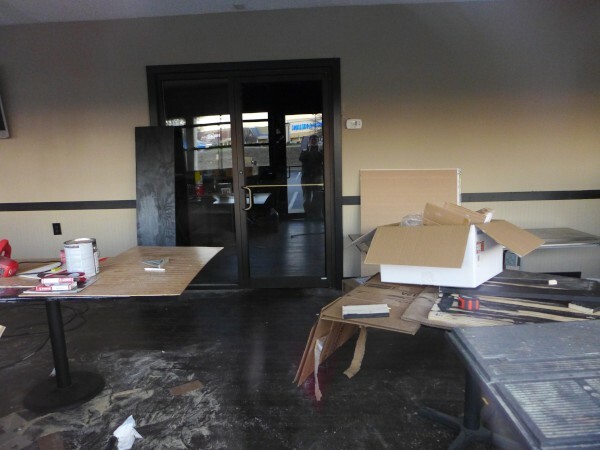 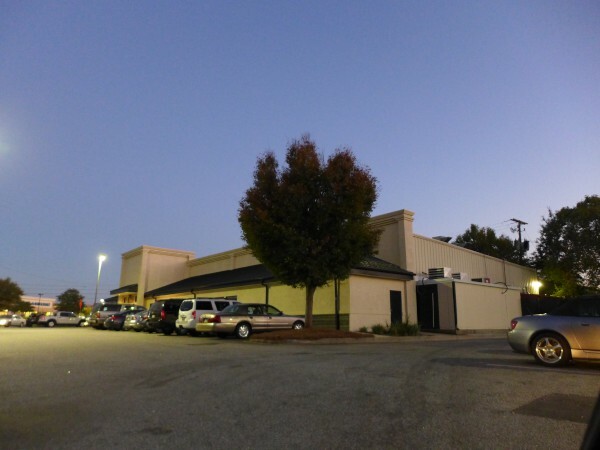 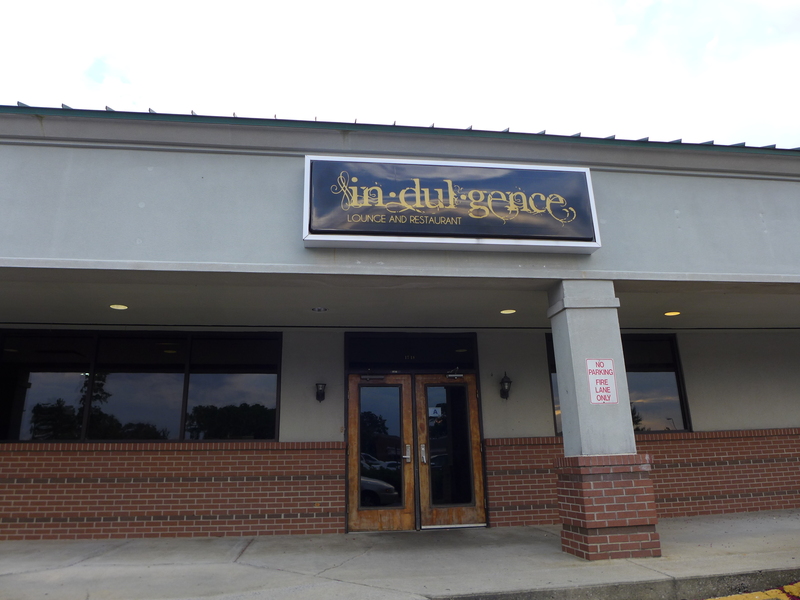 When I blogged the closing of the Harbison Wing Nuts back in June, commenter badger mentioned that the Lexington location on Sunset Boulevard had closed in March. 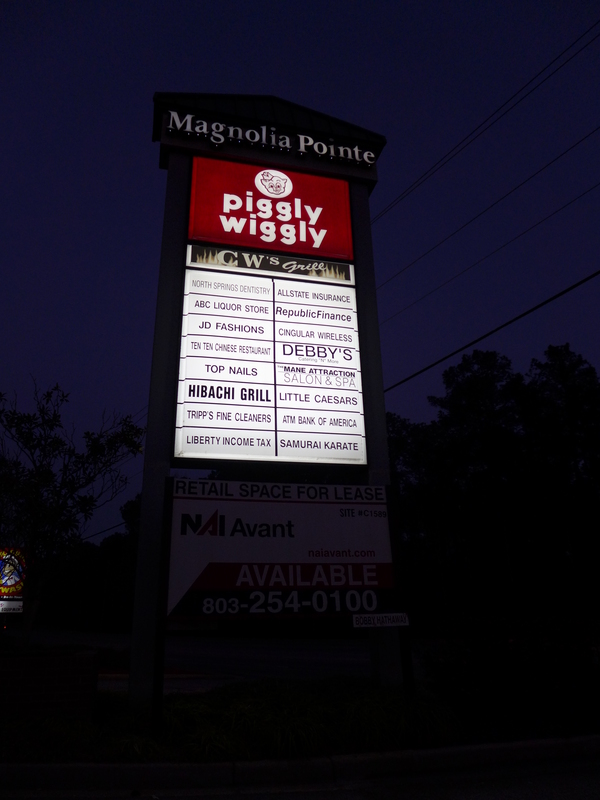 Somehow it took me between then and now to get over there and get some pictures, but surprisingly the marquee is still up after six months. 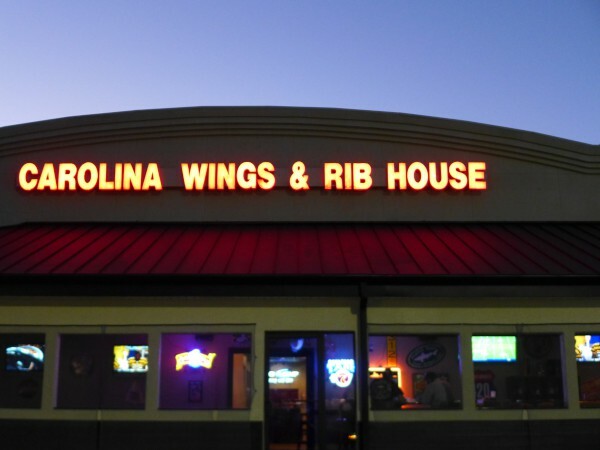 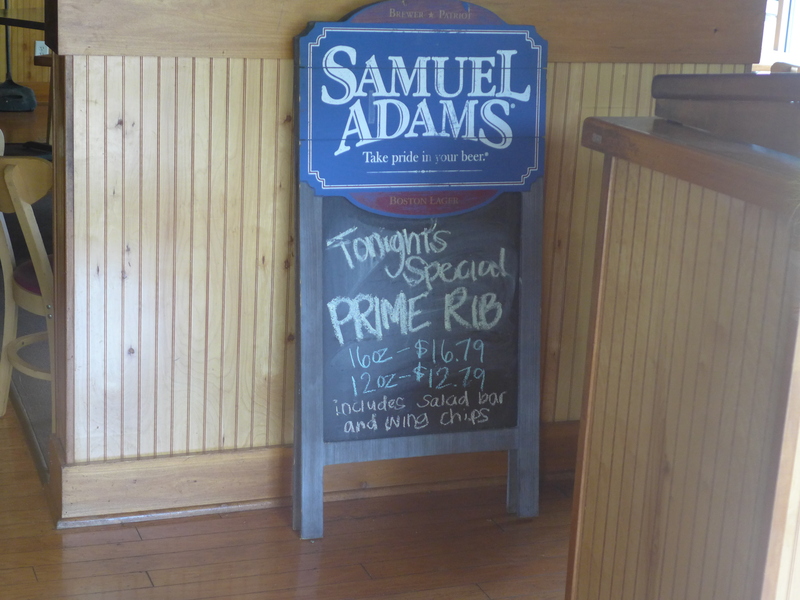 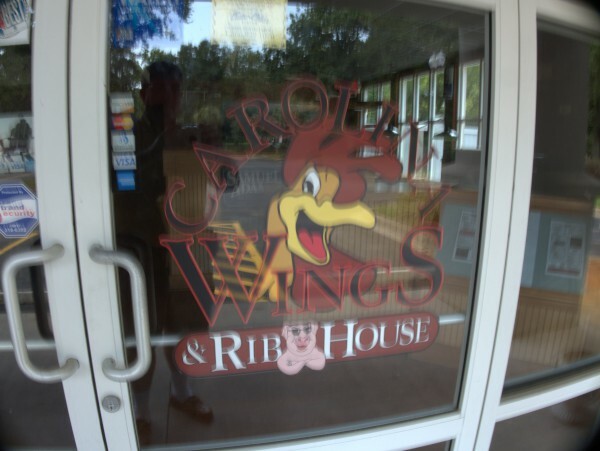 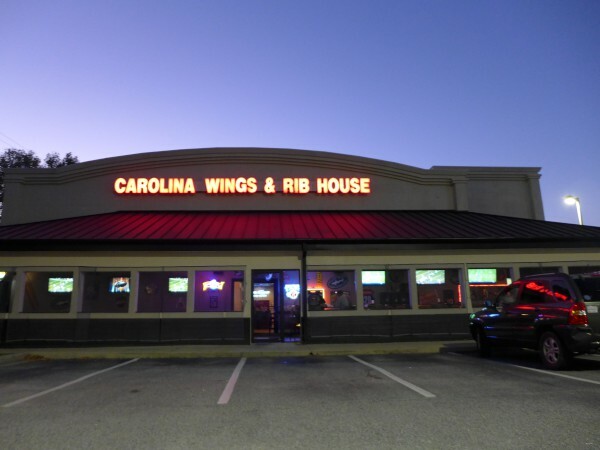 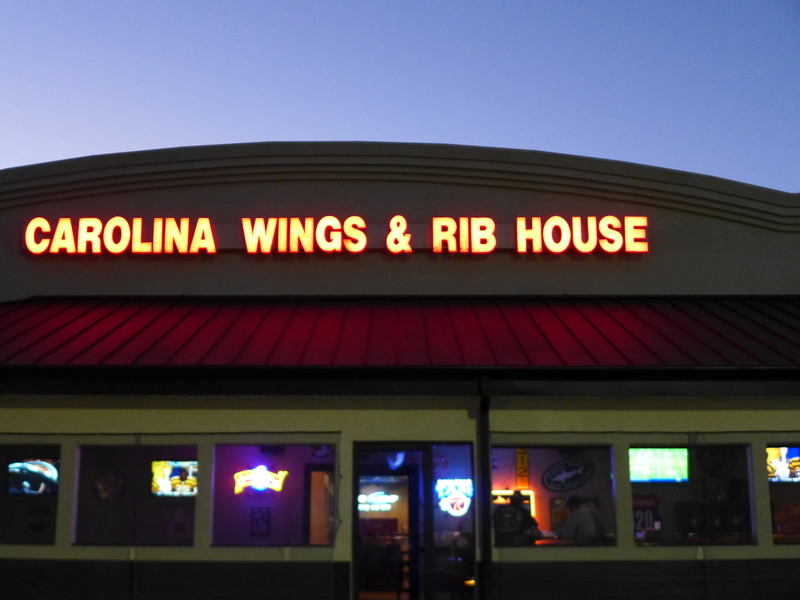 I have had my eye on this location of Carolina Wings & Rib House because the chain has been cutting its Columbia operations to the bone, and I figured this peripheral coastal location wouldn't last much longer. 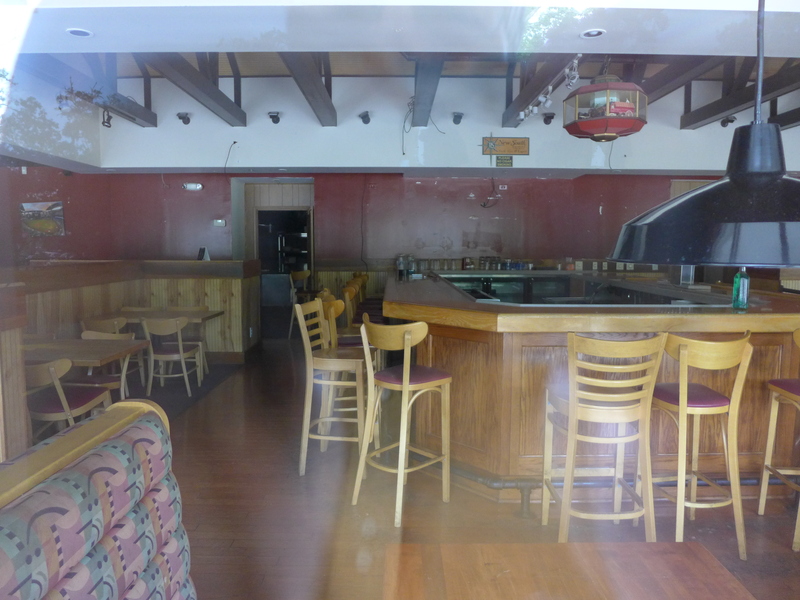 In fact, the place was open for the Memorial Day weekend, but by the time I went by again in late July it had apparently (from the state of things inside) just closed. 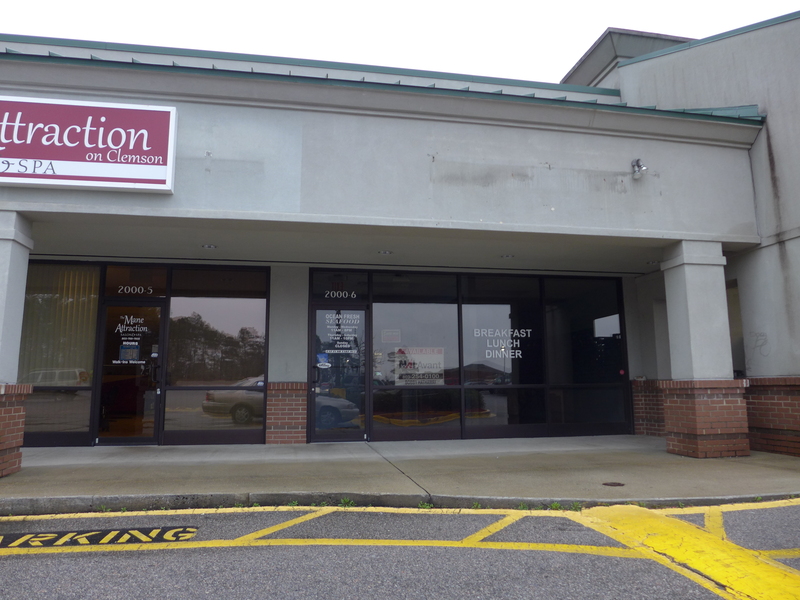 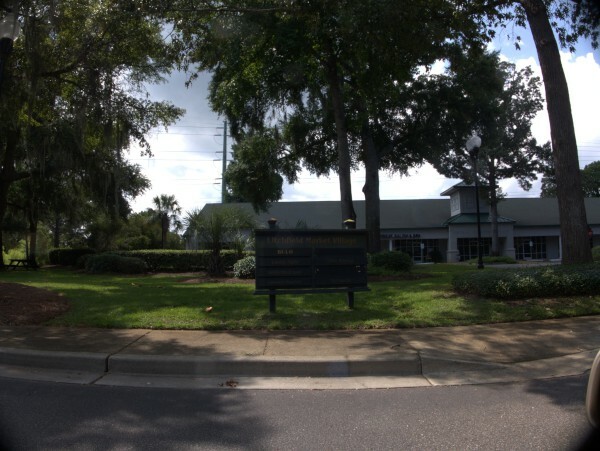 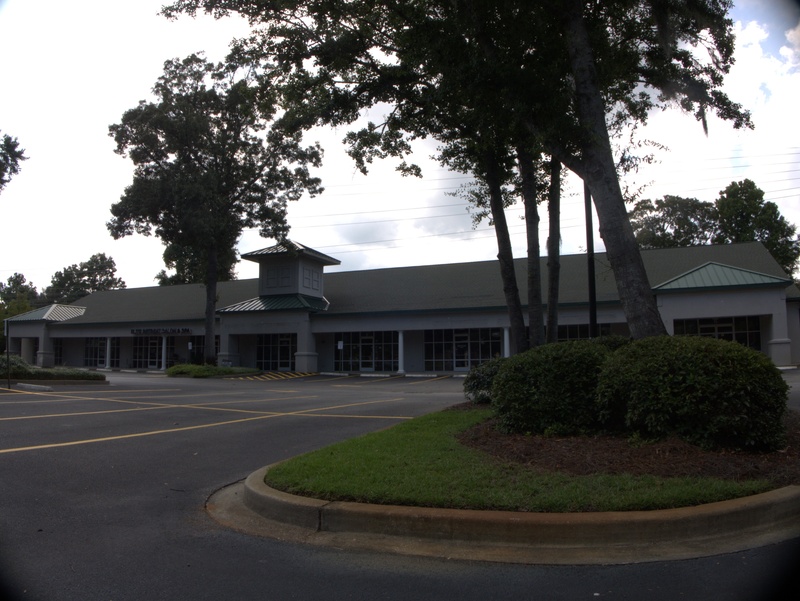 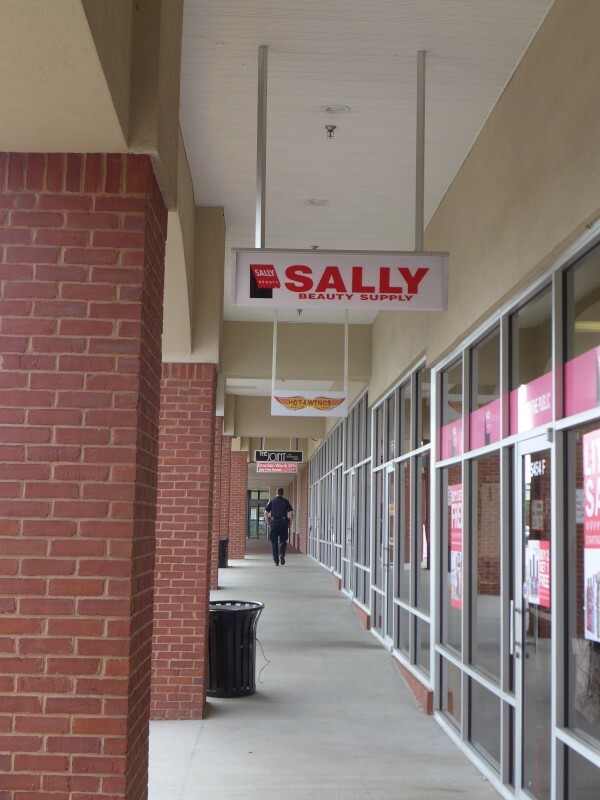 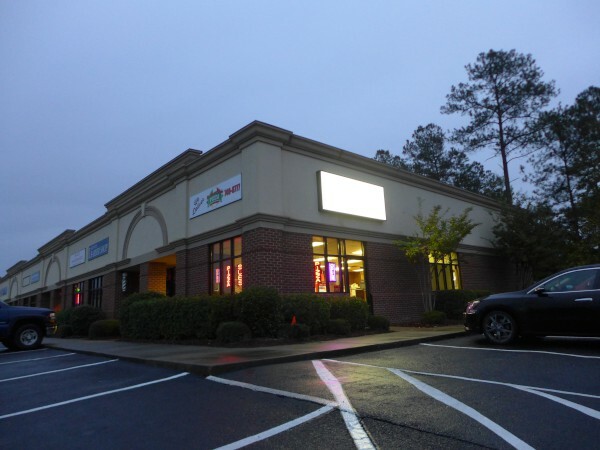 This location was in Litchfield Beach, in an outparcel of what was the Litchfield Piggly Wiggly shopping center (but which is now the Bi-Lo shopping center. 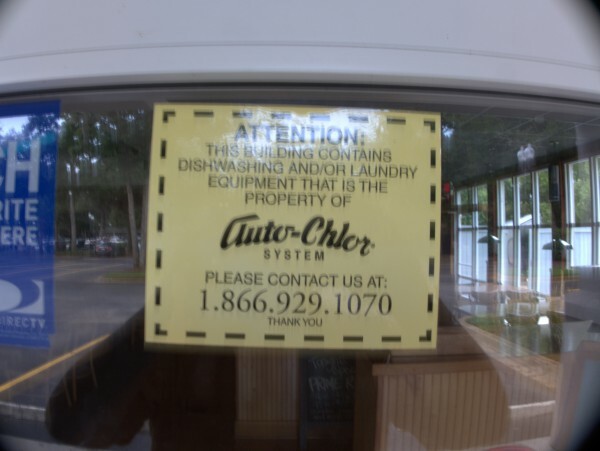 Although I suspect that the general troubles for the chain were the biggest problem for this location, I also note that it is not visible from US-17 which can't have helped either. 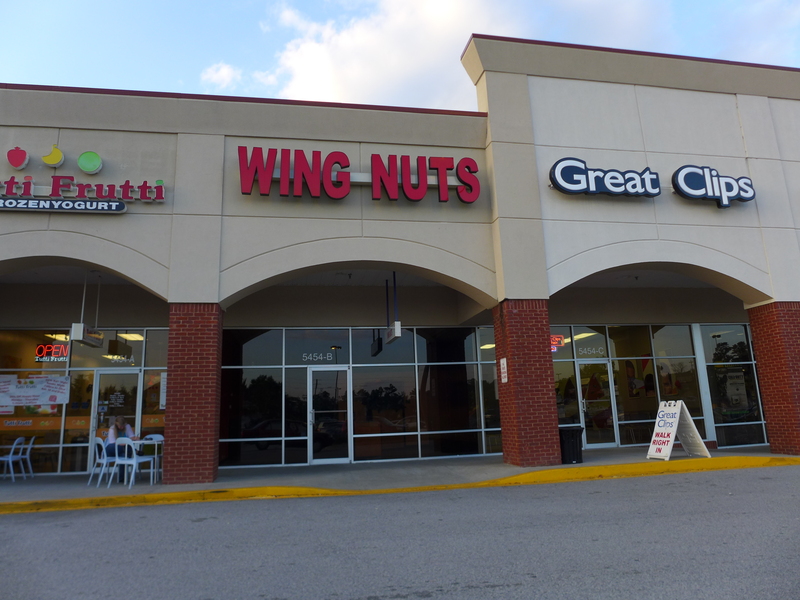 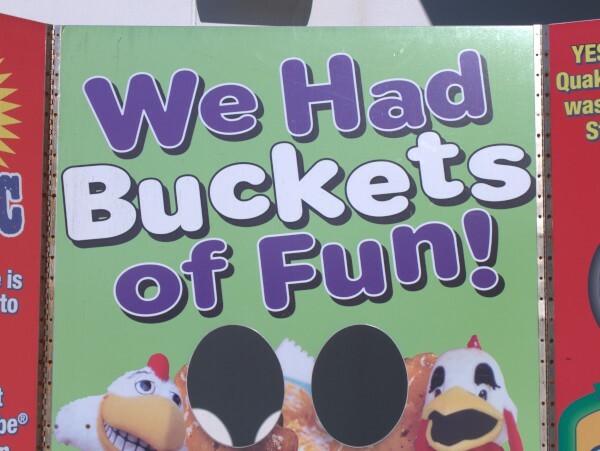 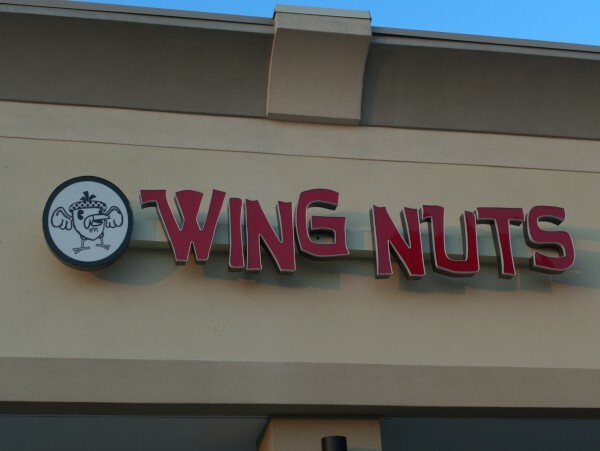 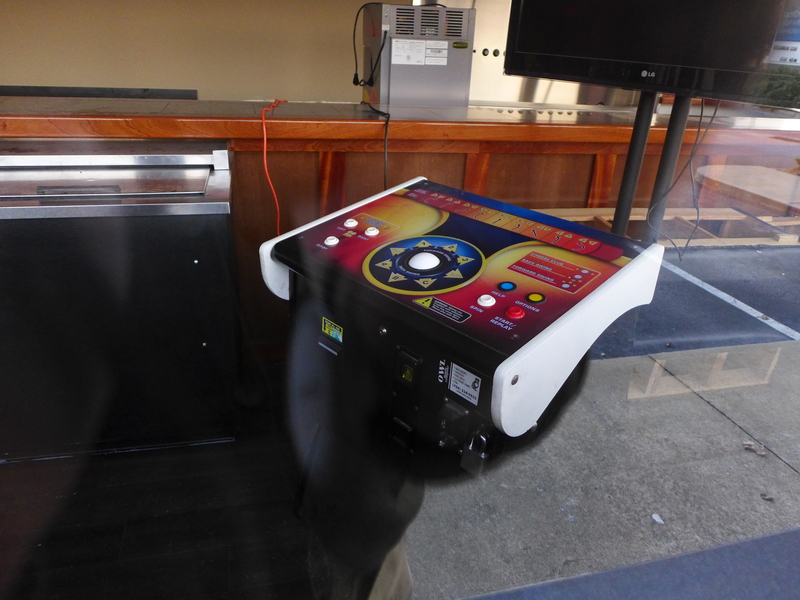 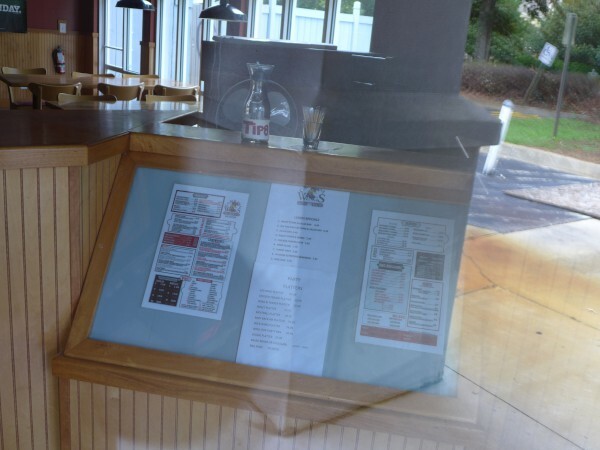 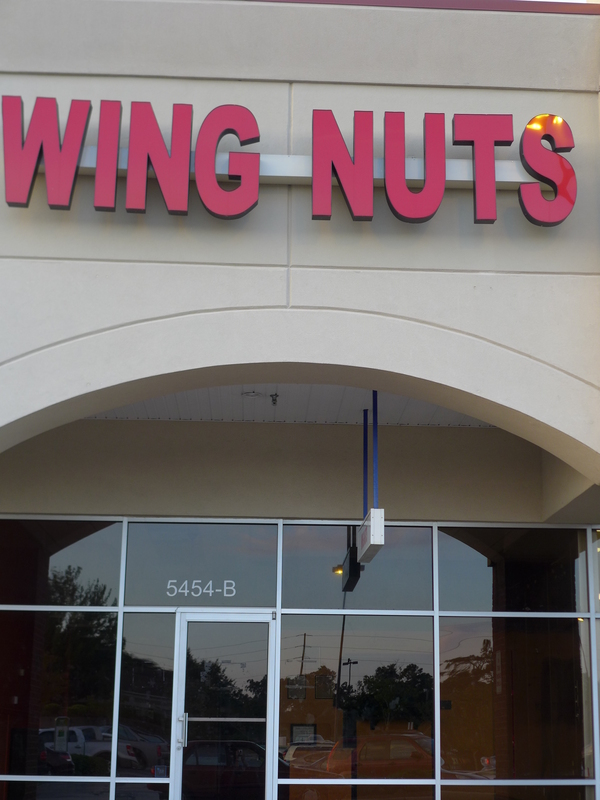 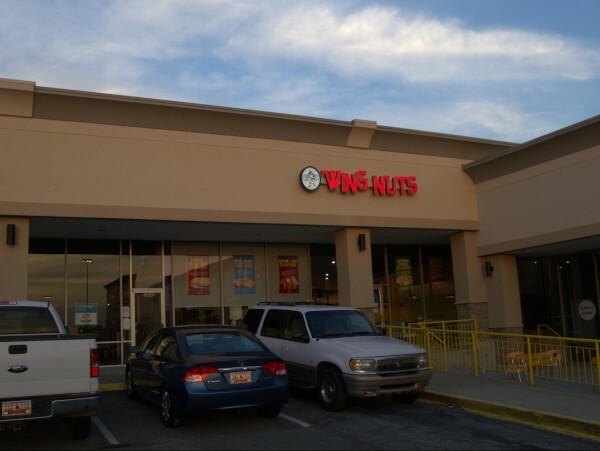 Wing Nuts was in the old Sesame Inn slot in the Outback plaza on Harbison. (I used to call it the Barnes & Noble plaza). 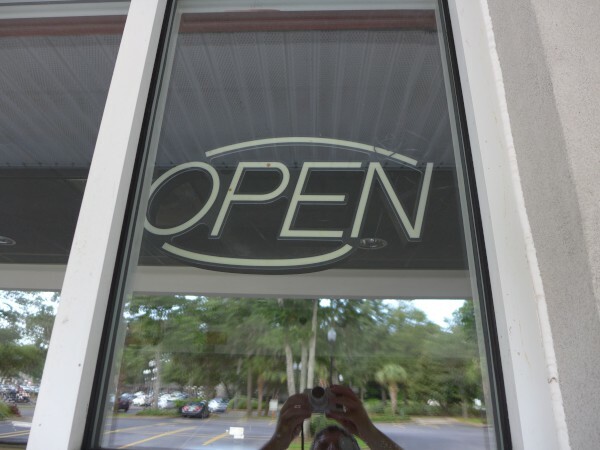 Online reviews were not.. overly positive, but then nobody goes online to leave a good review. 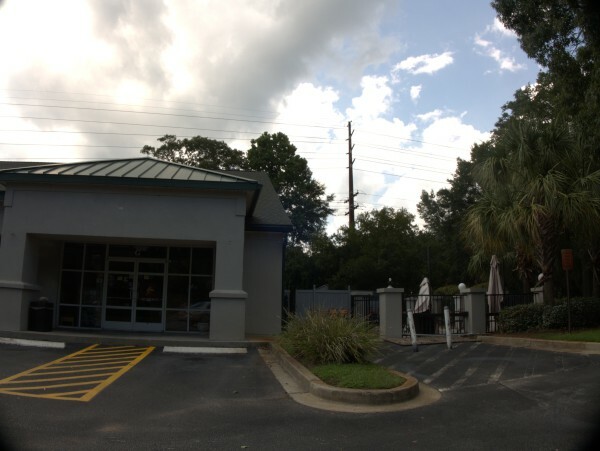 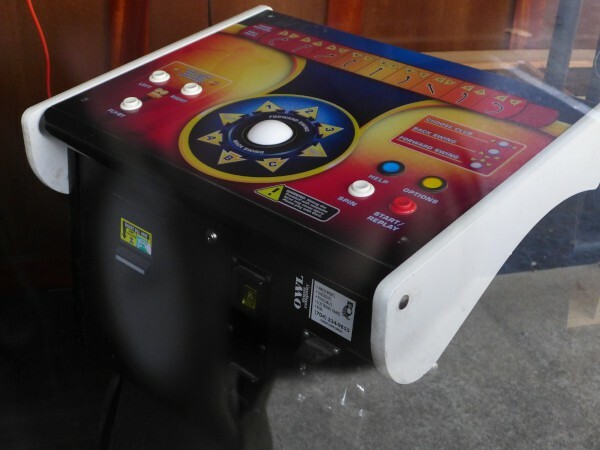 Interestingly, the place has been on the market as a turn-key running business since last October (October 2013), as can be seen in these two LoopNet listings, here and here listings. 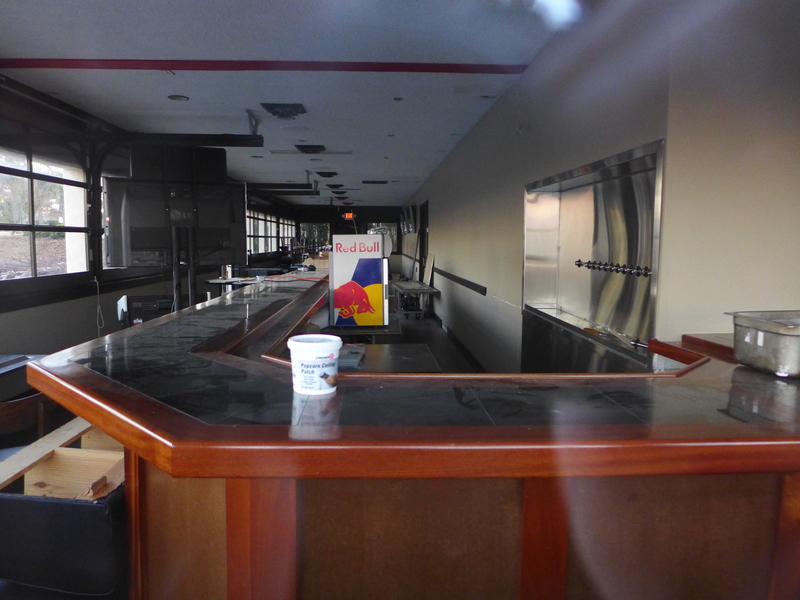 That apparently did not work, as the place is now fairly gutted.